Have you been thinking about taking some time to yourself looking for a camper that will be perfect for solo full-time camper living? If so then you need to come and see one of the many new and used campers for sale in Franklin, WI. 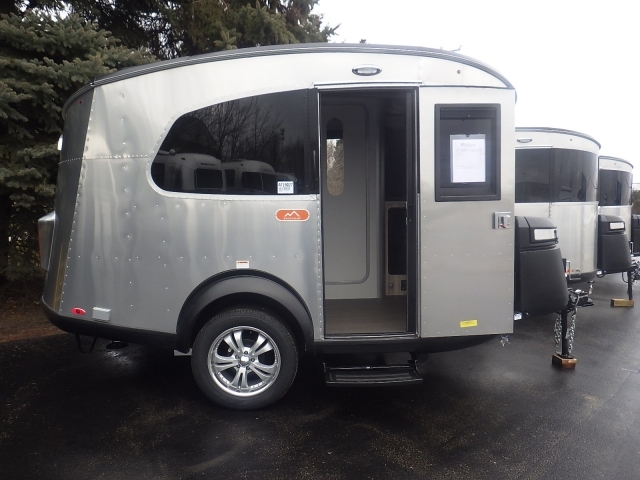 Here at Ewald’s Airstream of Wisconsin, we have everything from a large selection of Airstream Bambi trailers for sale, like the Airstream Basecamp, to an Airstream Tommy Bahama for sale and everything in between. Here at Ewald’s Airstream of Wisconsin, we understand that each person that walks onto our lot will have different wants and needs. Which is why we have a team of people who are happy to answer any and all questions you may have about one of the many new and used Airstream trailers for sale. That includes a large selection of Airstream Bambi trailers for sale like the new Airstream Basecamp for sale. This Airstream for sale is ready to take on all of your camping needs, and with many hidden storage features, you will be able to take all of the comforts of home with you. This Airstream for sale may be small, but it is mighty with a durable single axle design you will be able to go anywhere and do almost anything with ease. This travel trailer for sale comes with more storage than you ever think possible. Hidden storage features under the seats of the dinette and hanging bungee storage keep your things out of sight and secure. Keeping your living area feeling clean and clutter free. A galley style kitchen with space savers like a cutting board sink cover and cover for your stovetop allow you to prepare and serve all of your favorite meals with ease. Blackout curtains give you all of the privacy you want, while panoramic windows make this camper for sale seem light and bright. With a bathroom pass-through for the shower head, you can now quickly and easily clean off your gear for the next day. An extra large rear hatch makes it easy to pack up your larger items into this Camper for sale without having to maneuver them through the front door. These trailers feature all of the tech features you will want or need. A pop up charging station keeps your devices charged without taking up space. Stretch out even more with detachable rear and side tents that give you the extra space you want when it comes to this Airstream for sale. Relax in the shade under your pop-up awning. 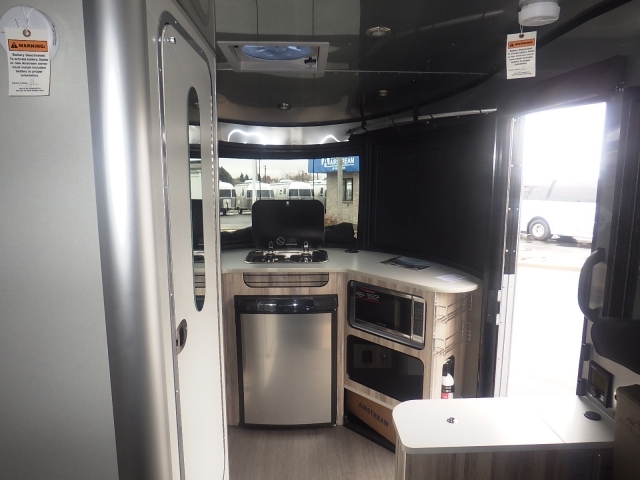 Count on the Airstream Basecamp to last far longer than its boxy competitors, and with its lightweight and sleek design, you will not even feel the impact at the pump. The Airstream Basecamp was designed for everyone to enjoy, small enough not to need a large truck but with enough space to feel at home. Plus with its compact size this Airstream trailer is a dream to haul, and with anti-sway technology along with its short body ( only 16’3”), everyone from a first-time trailer owner and tower, to a veteran trailer owner can drive it. When you are ready to start your search for your next Airstream camper come to Ewald’s Airstream of Wisconsin at 6269 S 108th St, Franklin, WI 53132.